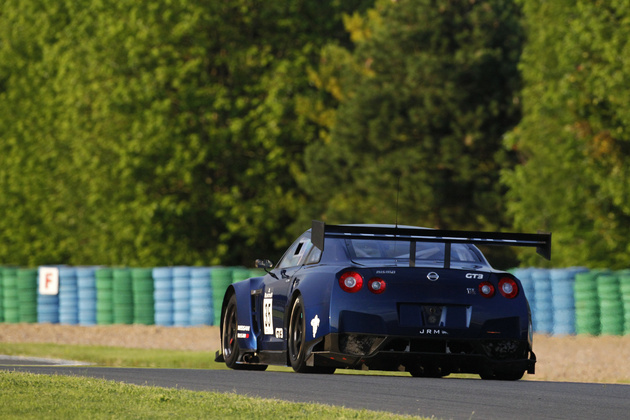 JRM Racing and Sumo Power has been racing Nissan GT-R's in GT1 for the last few years, recording several wins. In 2011 the team expanded to a total of four cars for the top tier of FIA tin top racing. Earlier this year, a couple of pictures of a GT3 class GT-R showed up. When I was in Spain for the GT1 race, I had talked to a few guys on the teams about the GT3 car in testing. They had mentioned then that the GT3 car was VR38DETT powered, not like the VK56 V8 in the GT1 car. 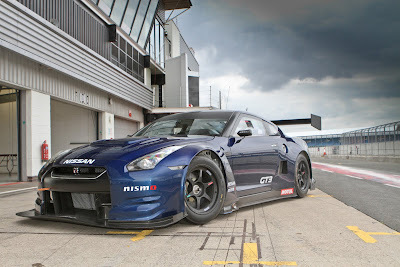 Expect the GT3 Nissan GTR to come into the series with around 500 hp and weighing around 1300kg, similar to the other cars in the series. The GT-R will be competing against, Mercedes SLS AMG GT3, Lamborghini Gallardo, Porsche 911 GT3 R, Audi R8 LMS, Ferrari 458, Aston Martin DB9SR, BMW Z4 GT3, and Ford GT GT3. 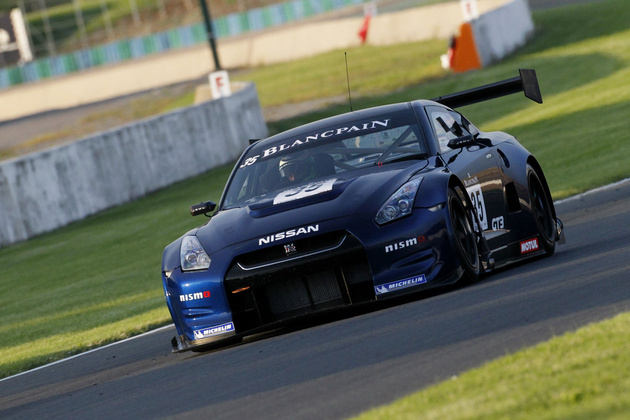 8-26-11 So far at the Blancpain Endurance Series at Magny-Cours, the JRM Motorsports GT3 Nissan GT-R was 11th quickest in the wet practice session. Not bad for its first real timed sessions on track. Couple more photos from the Gallery. Sumo Power's parent company JRM has confirmed it will debut its Nissan NISMO GT-R GT3 in this weekend’s fourth round of the Blancpain Endurance Series at Magny-Cours. This is the first ever competitive outing for the new car, which is being jointly developed between NISMO (Nissan Motorsports International Co. Ltd.) and JRM (JR Motorsports). 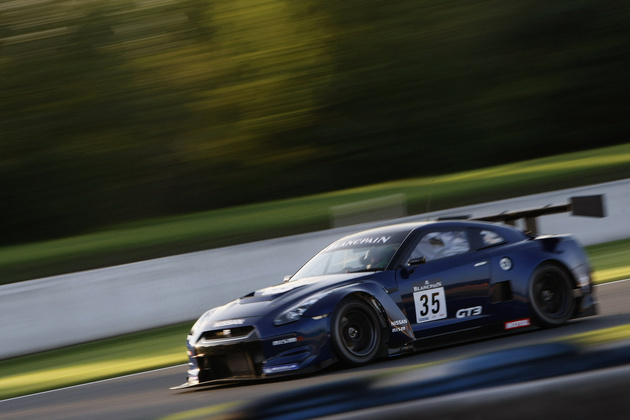 Drivers Richard Westbrook and David Brabham will be at the helm for the three-hour race. The race at Magny-Cours precedes the car’s official launch, which is scheduled to take place in October. JRM is also planning other race events before the end of the year, both in the UK and Europe. JRM is using the event to test how the car performs in a competitive environment and has stated that the final result is not the most important aspect. Andy Barnes, JRM Managing Director, said: “Testing has been underway since earlier this year and the car has run very well. We now want to place it into a competitive environment as part of its continued development. This is one incredible car, its heart-stopping acceleration and it's easy to drive and has a pretty nice interior at a reasonable price. The big and bulky cons of this car would be nothing for it could crush a lap without breaking a sweat.